In building local food economies, one neighborhood at a time. We believe home cooking helps build healthy, resilient communities and create economic opportunities for the people that need them most. We support a future where talented home cooks can legally and safely share meals with their neighbors. The 2018 Homemade Food Operations Act (AB 626) was signed into law in September. It is the first law of its kind in the United States and creates economic opportunities for cooks across California. The Microenterprise Home Kitchen permit will allow the small-scale sale of meals from home kitchens - supporting economic inclusivity, public safety, and a new avenue to entrepreneurship for people historically without one. Find FAQs here. The C.O.O.K. Alliance will continue to lead policy reform across the country, with a focus on elevating cooks historically underrepresented in food and labor policy decisions. The Alliance will also offer open source education, cook tools, and work to hold this new industry to a high standard. Counties can opt into the Microenterprise Home Kitchen (MHK) permit process starting in January, 2019. Thousands of cooks can apply for a Microenterprise Home Kitchen permit to operate legally in 2019. Training materials, coaching, and support will be available to home cooks through the C.O.O.K. Alliance, other non-profits, and co-ops. Other states interested can run a similar bill during the 2019 legislative session. Food is Made by people. Now that AB 626 has become law, we need your help! We need folks to encourage their local counties to opt into the permit process, help with implementation, bring this legislation to other states, and help fundraise for the C.O.O.K. Alliance. Organize in your county! It’s important to get as many counties to opt into the Microenterprise Home Kitchen permit process as possible. We need your help to encourage counties to opt-in. Please fill out this brief survey, or email us. Fundraise! Want to support our efforts? We will need financial support to continue implementation and to support the passage of similar bills in other states. Please fill out this brief survey, or email us. Have your organization support implementation! We are looking for thought partners and organizations to support our cooks. Please fill out this brief survey, or email us. Spread the word! Invite your friends, network, and community to join the movement by joining our facebook community or our mailing list below. We need your help to Implement AB 626. 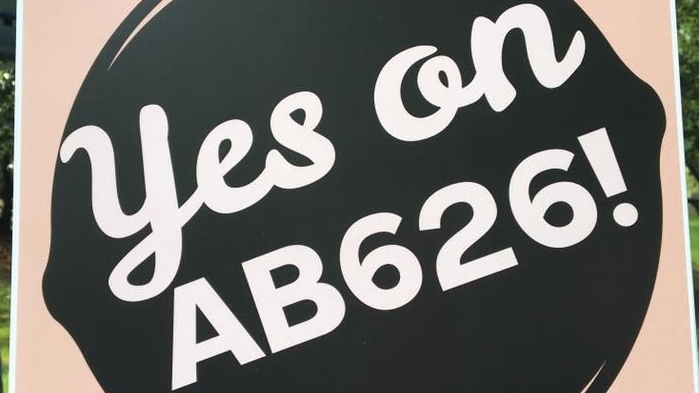 Learn more about the history of AB626 and download the fact sheet and legislative talking points documents. with just a few simple actions.